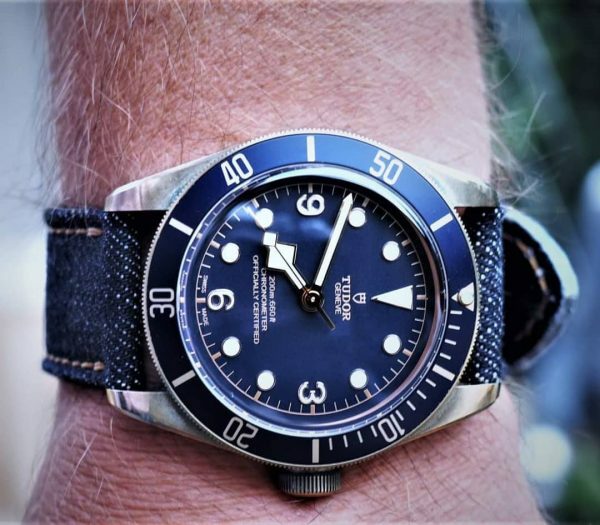 Here we have the Tudor Black Bay Heritage Bucherer blue special edition, a not seen much Tudor with DStrap! 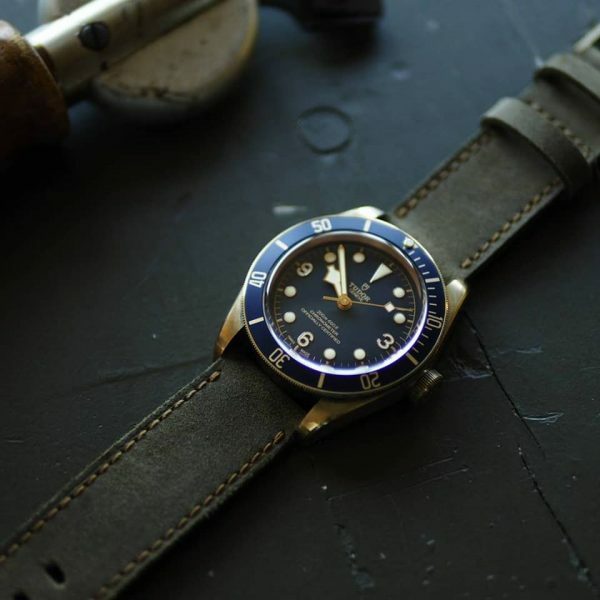 Tudor Heritage Black Bay Bronze Blue Dial Special Editions a Swiss made precision watch M79250BB-0001, water resistant up to 200 meters, sapphire crystal glass. 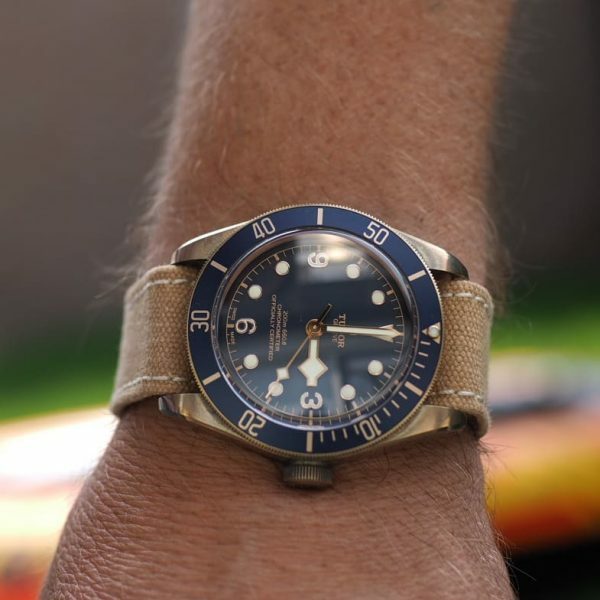 Comes standard with fabric strap you can easily upgrade with a custom made DStrap!